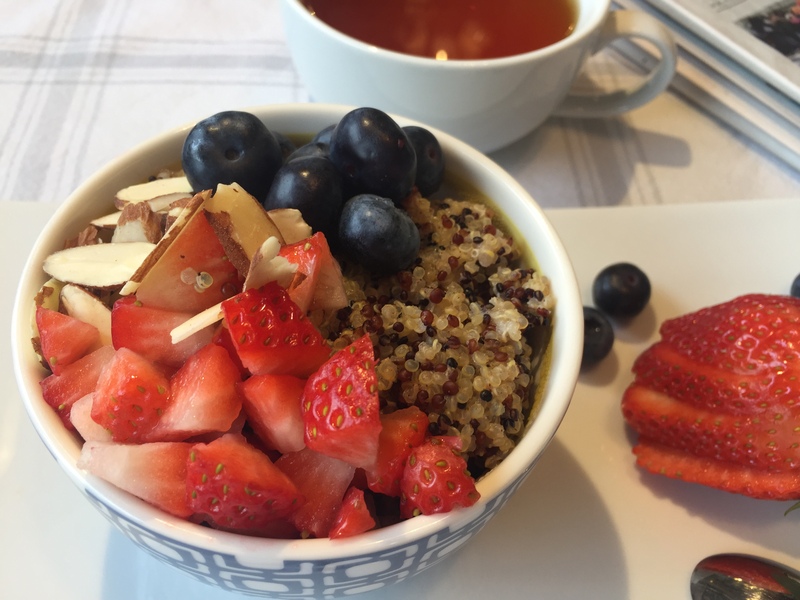 If you are tired of having the same cereal every morning then try this amazing quinoa recipe to brighten up your breakfast. 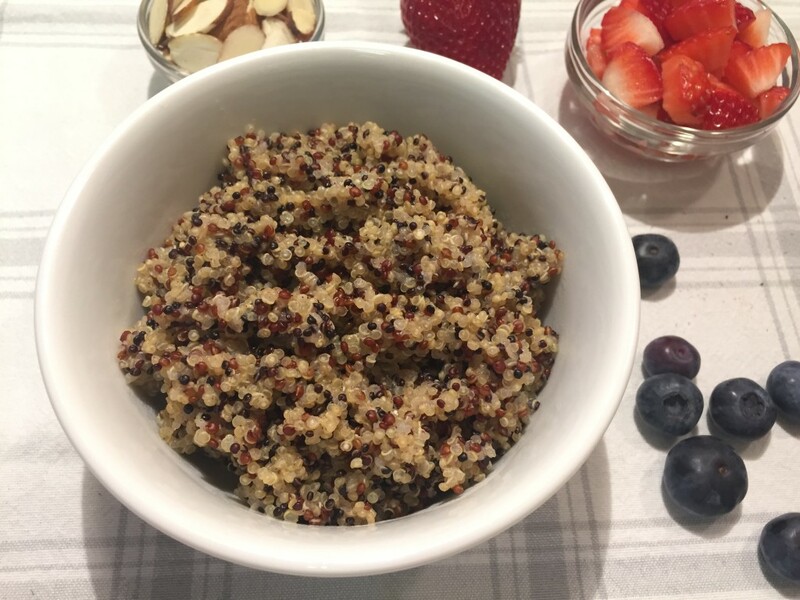 In a small saucepan combine the quinoa with water and milk, dash of salt, cinnamon, and vanilla. Bring to a boil and simmer, cover for 15 minutes. When cooked remove from the stove and let it cool for another 5 minutes. 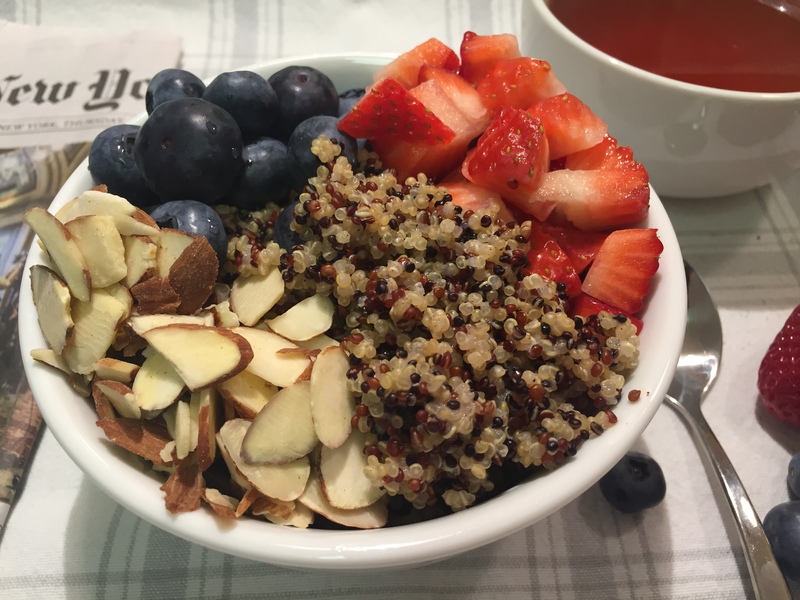 Serve topped with your choice of berries. 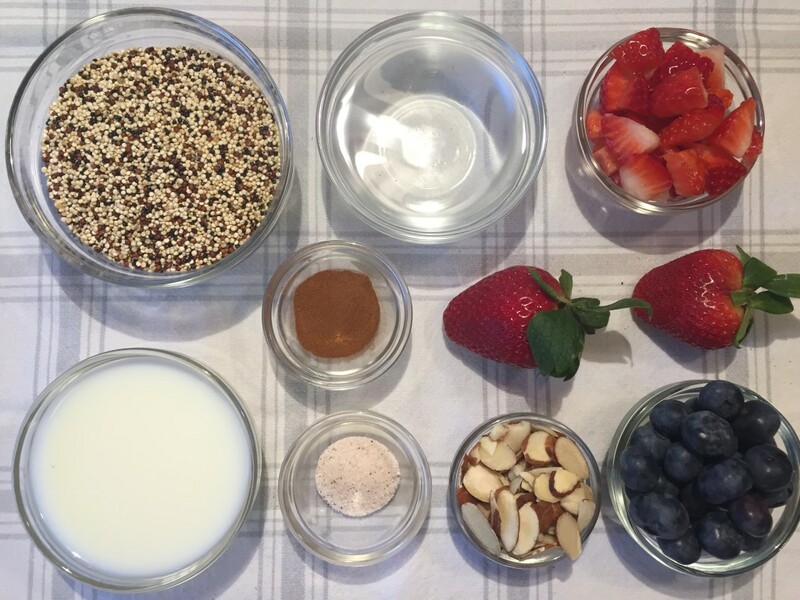 I chose to mix blueberries and strawberries and 1/4 of slivered toasted almonds. You can also drizzle it with honey or maple syrup to add a little sweetness to it.